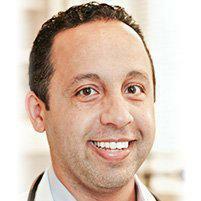 Dr. Eidgah offers family practice medicine to people in and around New York City from his practice in the East Village. As a board certified family doctor, he offers a comprehensive list of services that include cardiovascular screening, diagnostic, and treatment. Cardiac disease is a major cause of premature death. Prevention is a key step in treatment. Dr. Eidgah sees patients from around the surrounding area including Union Square and Downtown New York. What Kind of Cardiovascular Screenings Does Dr. Eidgah Offer? As a primary care doctor, Dr. Eidgah offers cardiovascular screenings that deal with diagnostics. Expect service to include lab work, such as cholesterol screenings, EKG, telemetry, and stress tests. His role as a family doctor focuses on prevention and wellness. He may also refer you to a cardiologist because some cardiac issues and disease require a specialist. Why Do I Need to See Dr. Eidgah for Cardiac Screenings? As your primary care doctor, all care begins with him. The relationship between your primary care doctor and a cardiac specialist is as a team. Healthcare has evolved into partnerships that focus on the entire patient's health picture. Care for cardiac symptoms begins with your primary care doctor. This allows Dr. Eidgah to continue to provide comprehensive care for you while you see the specialist for advanced cardiac issues or disease. Are There Preventative Measures I Can Take to Help Prevent Cardiac Disease? Absolutely. The two biggest things that Dr. Eidgah advocates for patients is changing to a healthy diet and getting more exercise. Both of those things are fully within the power of the patient to control, and both make an enormous difference in winning the war on cardiac disease. If you are concerned about your cardiac health, start by asking Dr. Eidgah for a cardiac screening. From there you will have a clear picture of what type of cardiac issues you face, and how to best go about correcting them. Will Cardiac Screenings Cost A Lot? There are extra charges, but what you pay is determined by your insurance company, not Dr. Eidgah. Some of the most inexpensive tests might be having your cholesterol level checked. That would require only a co-pay for lab work. Dr. Eidgah believes that prevention is the best medicine and science has shown that cardiac disease starts when we are in our 20's. If you are ready to be proactive about your cardiac health, schedule an appointment today.